I’m quoted talking about homeschool co-ops and all the opportunities available to homeschoolers in this article from EpochTimes. Carol Topp, a Certified Public Accountant (CPA) and author of “Home-school Co-ops: How to Start Them, Run Them and Not Burn Out,” homeschooled her 2 daughters, now in college, for 14 years, and they were in a co-op for 12 years. Topp said that she homeschooled for academic appeal at first, but she then found that she loved the opportunities it gave her children. “We continued because we loved the flexibility and the freedom,” said Topp. "We took great field trips"
“We took our kids on great field trips,” said Topp. 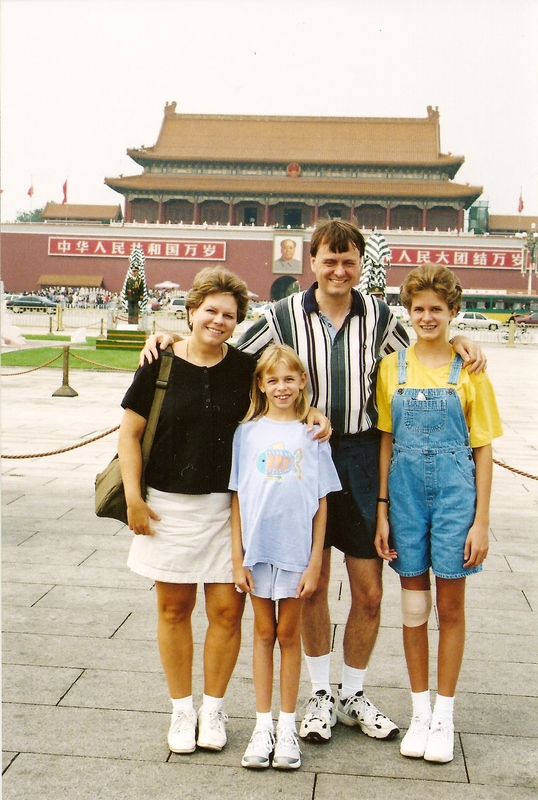 They went to China in September 2003 for 2 weeks. “Most of our family vacations were in September when the weather was so great but the prices were low,” said Topp. There was also freedom to take a step back from a frustrating subject and then go back to it refreshed, and freedom to advance in a subject that her daughters excelled in. According to Topp, homeschooling is growing in popularity by leaps and bounds. “There were not as many opportunities 10 to 20 years ago as there are now,” said Topp. Her daughters were in an orchestra as acted in plays, and Ohio has homeschool football and basketball teams that play on the national level. Topp is seeing increasing opportunities for homeschoolers in their community. For example, there is “a gym holding classes for homeschoolers during the day when homeschoolers are available and the gym is available,” said Topp. She said that there are more homeschoolers nowadays, and gyms are recognizing that. Topp also said that in a co-op, parents should share the work. “I have seen many people burn out because they are doing too much. They need to make it a team of people that all pitch in together and share the load,” advised Topp.